HomeNewsFeaturesAnnie Has A New Calf! Annie Has A New Calf! 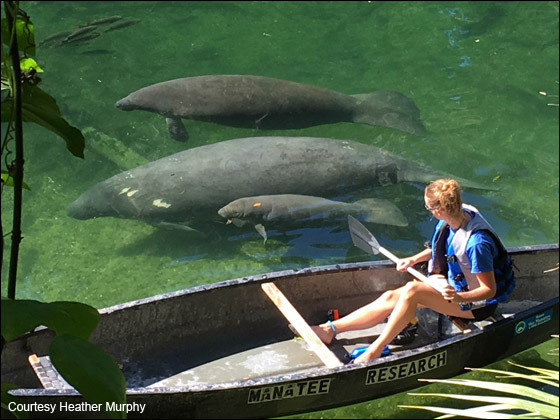 Orange City, Florida: Exciting news! 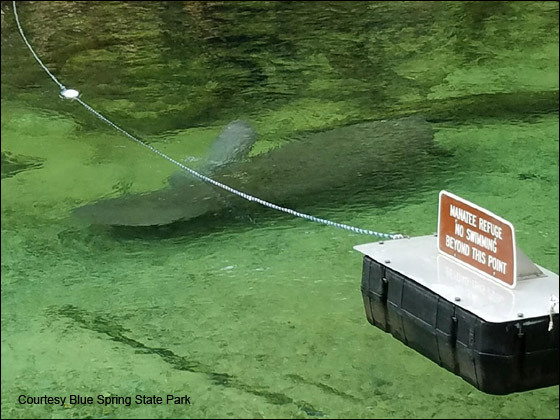 On August 15, 2016, Annie, one of the manatees in Save the Manatee Club’s Adopt-A-Manatee program, gave birth to a calf at Blue Spring State Park. 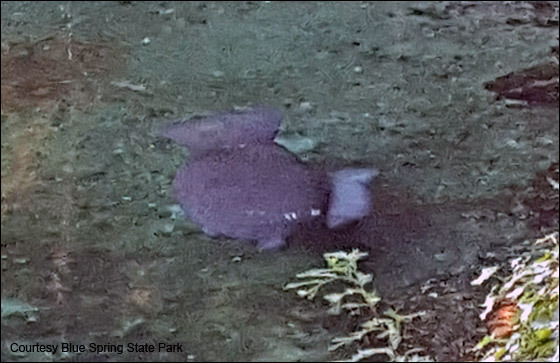 Several photos were captured by park staff. 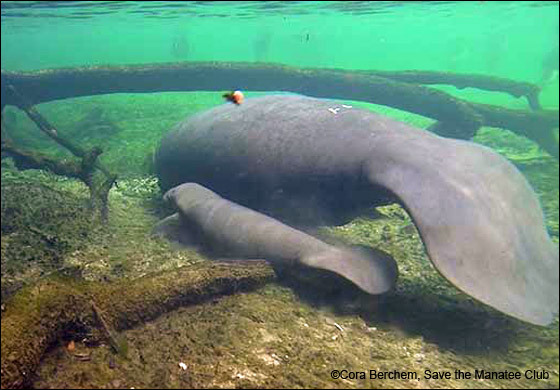 Adopt Annie and Other Manatees by visiting our Adopt-A-Manatee page! 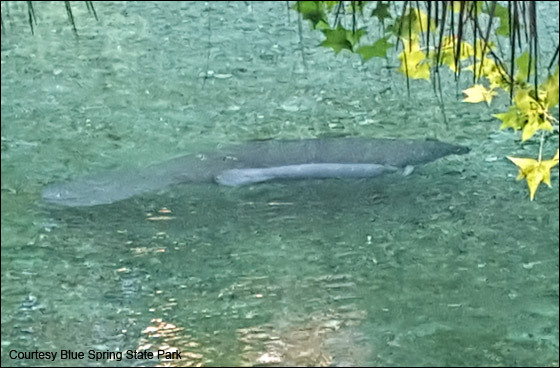 This is the third time that Annie has given birth at Blue Spring State Park! 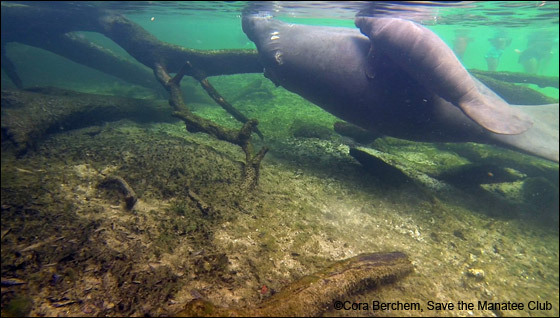 She gave birth to Naui, a female calf, at the park in July 2014. Her first calf, named Arron, was born at Blue Spring in 2012. The newest youngster is Annie’s third calf. Annie and the calf visited the park several times after she gave birth. 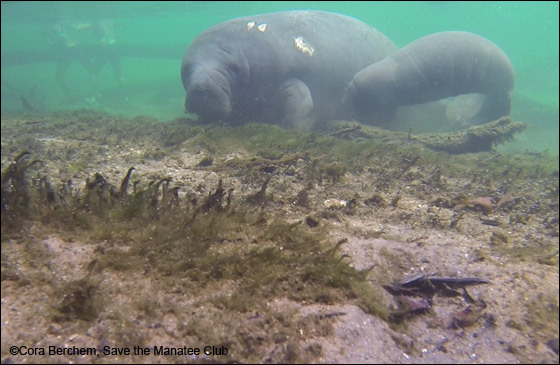 Cora Berchem, Save the Manatee Club’s Multimedia Specialist, took more photos of the pair on August 29, 2016. Unfortunately, Annie received a new boat strike sometime between the end of February and August. You can see the healed scars on her left side, near her head and shoulder. There’s no word yet on whether the calf is a male or a female.